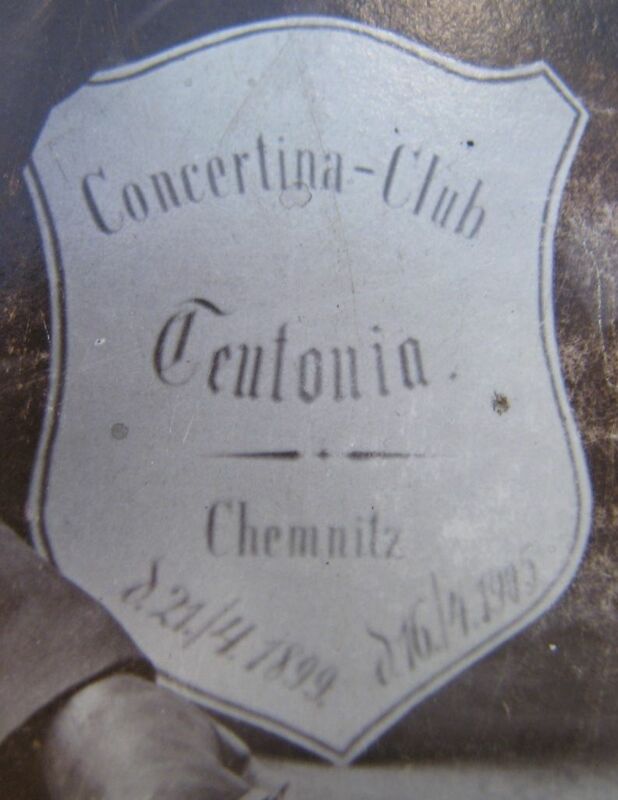 Full Description: A fine and large mounted plate photograph (305 x 240mm)� of the "Concertina-Club Teutonia", a large band of 20 formally-dressed young men posed before a large ornamental arch, with at least six of the chaps holding large Chemnitzer-style Bandoneons. 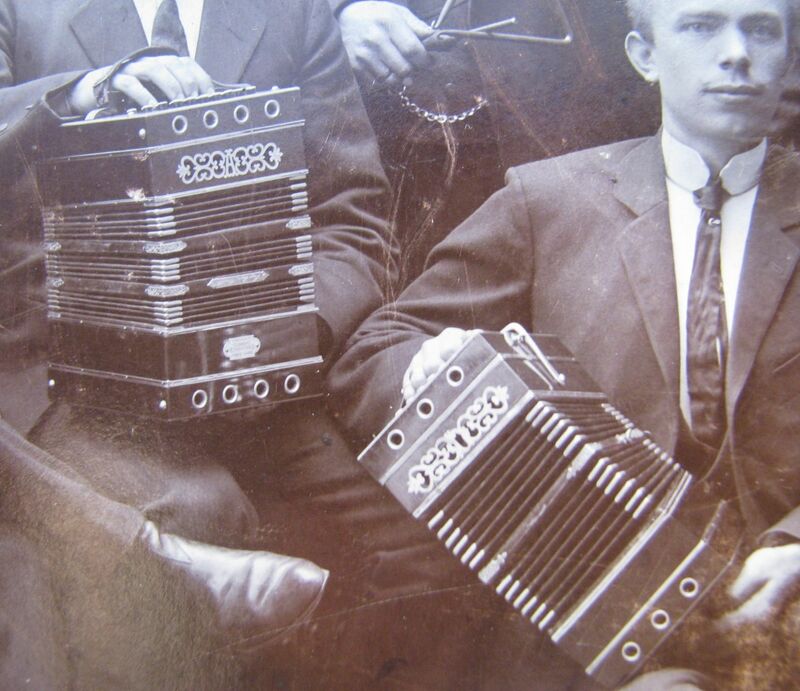 The front-row of players features a silver shield engraved "Concertina-Club Teutonia, Chemnitz. 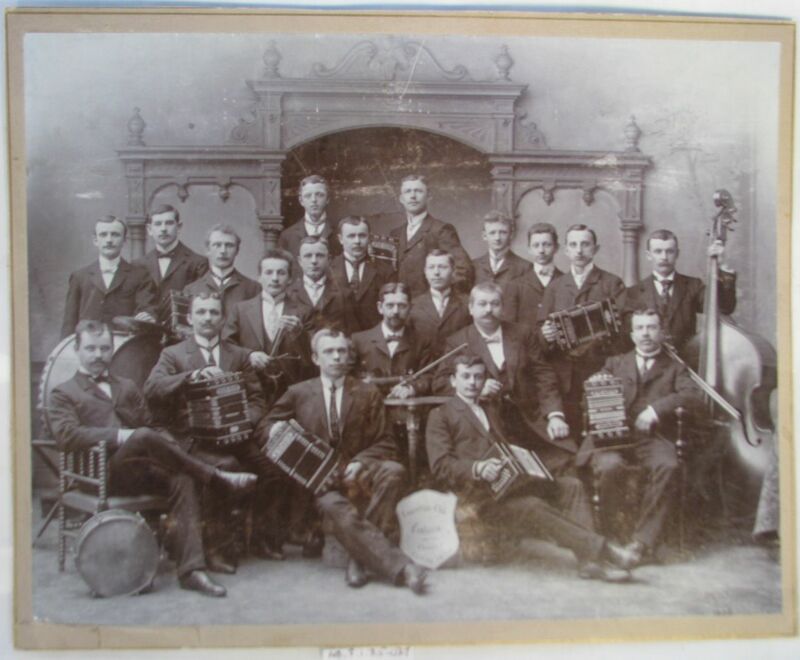 21-4-1899 - 16-4-1905", so this may be their sixth anniversary gathering.� Other players hold or pose next to large & small drums, a triangle, fiddle and double-bass. The large plate photo is mounted upon gilt-lined card, and is stamped by the photographer's studio "Th. 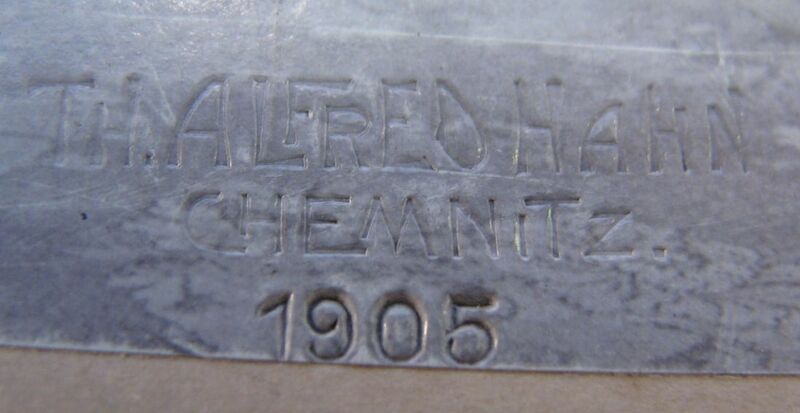 Alfred Mann, Chemnitz. 1905". It is somewhat bitter-sweet to consider the fate that might have befallen these elegant, cheerful chaps during the next dozen years..... 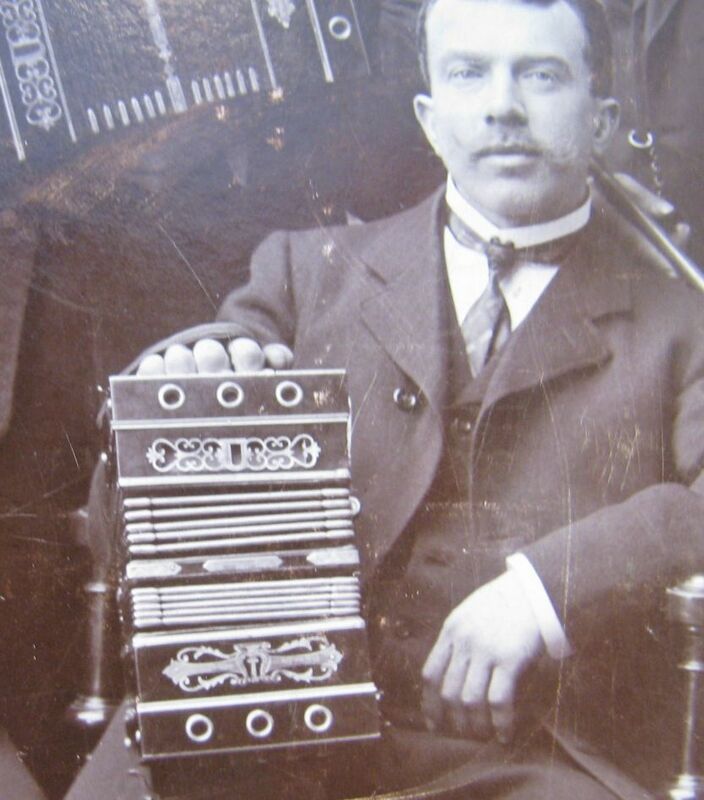 The Collection contains a trophy from a similar Chemnitzer Concertina club, Item NC.4.7.2-002 , engraved "Dem bruderverein venus z 25 jahr jubilaum gest v Konzerrina-Verein Fortschritt 1929", which means "25 year anniversary Concertina Club Progress 1929 ".